Clutch Cut nutrition is clean, simple, and easy to follow. A huge selection of food choices lets you customize your meals while you cut fat and transform your physique. Clutch Cut nutrition isn't about deprivation. Instead of depriving your body of what it needs, I replace unhealthy foods with rich, nutrient-dense alternatives. All the food I recommend is clean and metabolism-friendly. Each meal is measured to the gram. Every day, you'll receive the ideal balance of micro and macronutrients. Now that's clutch. Everything you eat and drink plays a role in your body's hormonal balance. To lose weight or gain lean tissue, you need to keep your meals balanced and fuel yourself with clean calories your body can use. If you want to change your body rapidly, everything you eat counts. Set yourself up for success. Follow the Clutch Cut nutrition plan to burn fat and reveal your best body. People have a tendency to overcomplicate nutrition, especially because there's so much BS information on TV, online, and in diet books. Sellers release a product and then tell buyers what they want to hear, instead of just telling them the truth. The truth is: Nutrition doesn't have to be complicated. Your body prefers clean, wholesome foods. Clutch Cut works with your body to optimize digestion, promote fat loss, and support the release of healthy hormones. My nutrition plan doesn't include any substances that promote adrenal fatigue or spur excess cortisol release. Eat every 3 hours, on the dot. 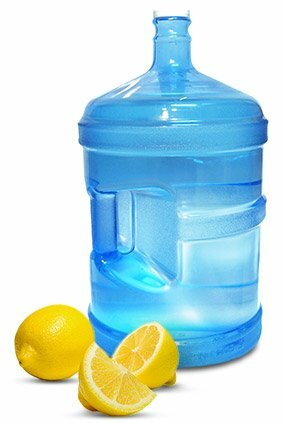 Drink at least 1 gallon of water with 2 lemons daily. Eat gluten- and dairy-free, except whey protein isolates. No fillers, no preservatives, no coloring. Clutch Cut doesn't yank carbohydrates from your diet like many other fat-loss programs. Your brain runs best on carbs. Carbs are your body's preferred fuel source, and I want your body to function at optimum levels. Sure, carbohydrates need to be controlled, but they don't have to be avoided. When carbs are cut completely from someone's diet, the body will cling to them and store them as fat the moment they're reintroduced. This can lead to future weight gain and yo-yo dieting, a vicious cycle that's difficult to escape. Instead of depriving clients of carbohydrates and snacks, I've found ways to make healthy, great-tasting alternatives. You can eat pancakes, French toast, and protein shakes that taste like ice cream and frozen yogurt. You don't have to stuff the blender full of fruit to cover up a nasty-tasting shake. With Clutch Cut, you'll never feel the need to binge on sugars or other simple carbs. "Instead of depriving clients of carbohydrates and snacks, I've found ways to make healthy, great-tasting alternatives." The Clutch Cut nutrition plan is based around solid food choices and a simple macronutrient breakdown. Keep in mind that you don't have be exact with every single macro. Get as close to the recommended breakdown as possible. Most importantly, stick to the food choices below and space your meals apart evenly. Your personal macros will vary depending on the foods you choose. Sample meal plan for a 180-pound male. 1. See package for cooking instructions. 2. Top pancakes with optional ingredients. 1. Blend all ingredients and enjoy! Chicken, Sweet Potato, and Green Beans Try a clean, convenient, and delicious B-Elite Fuel meal! Sample meal plan for a 140-pound female. Forget lame diet plans. The Clutch Cut food list was designed for your inner rebel. With no one telling you what to eat, you can decide for yourself. By pairing the ingredients below with the recommended portion sizes, it's clutch to be free. Guidelines: No red meat, pork, or deli meats. Guidelines: No non-organic "dirty dozen" vegetables. Guidelines: Make sure all oils are virgin. Guidelines: Unlimited serving size on all seasonings except agave and salt. Guidelines: No soda, fruit juice, sports drinks, or energy drinks.